A fluffy egg and octopus with a stock soup! Also as a snack. 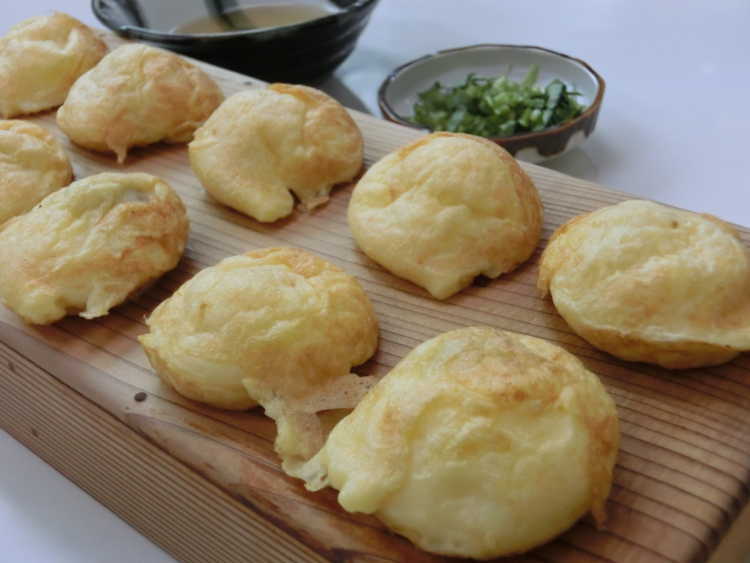 You can eat them with tako-yaki sauce.